See our software in action. Request a demo and see these great benefits and more! See all the benefits of our integrated software suite! 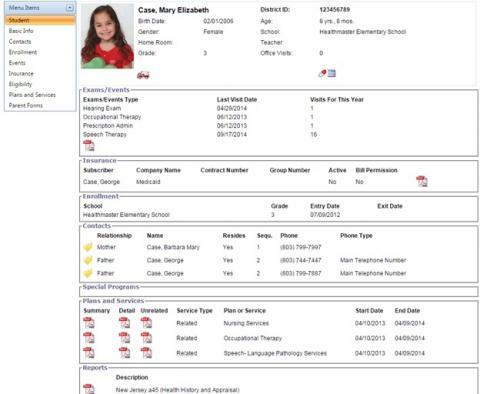 HealthOffice® Anywhere Mental & Behavioral Health Case Management software saves the user time. All important student information is contained on the Complete Student Record page where all important student information can be viewed at a glance by authorized users. Authorized Users can easily and quickly document Mental & Behavioral Health Events and encounters from the Quick Events dropdown menu, view the student&apos;s calendar via the calendar icon, and view Mental & Behavioral Health services at a glance. Additionally, users can navigate away from any screen using breadcrumbs, and navigate back to the Complete Student Record screen by clicking on the student&apos;s picture. 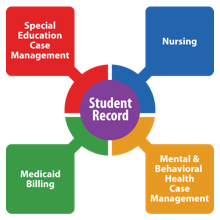 Request a demo to learn more about the benefits of the complete student record.